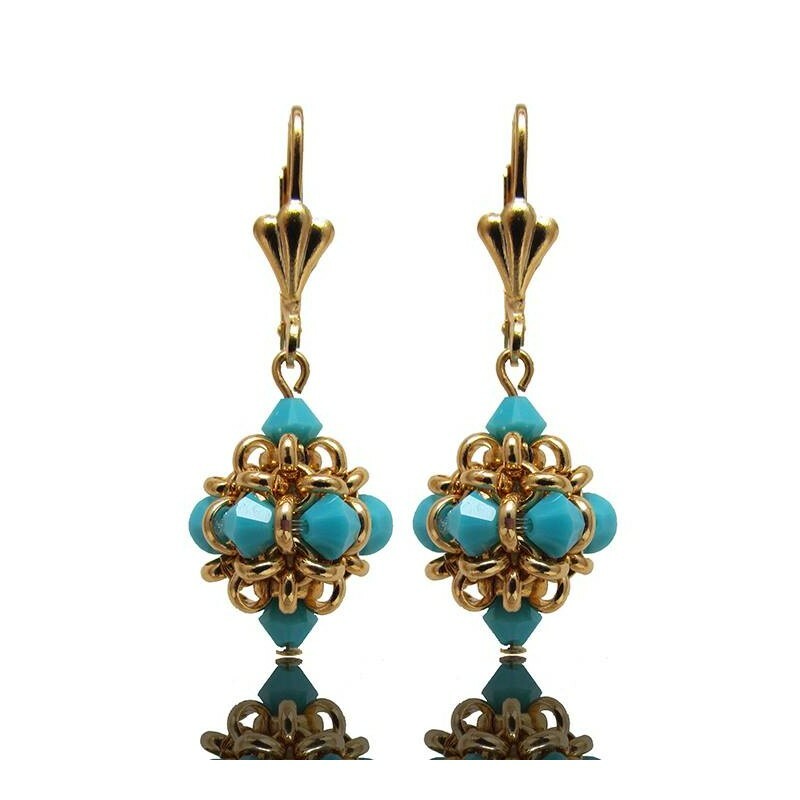 Turquoise earrings with gold, vintage style. Turquoise earrings made of genuine Turquoise Swarovski crystals and gold plated. 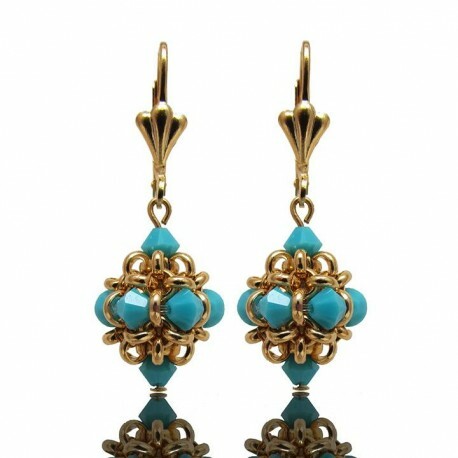 Length: 0.8" / 2 cm approx. 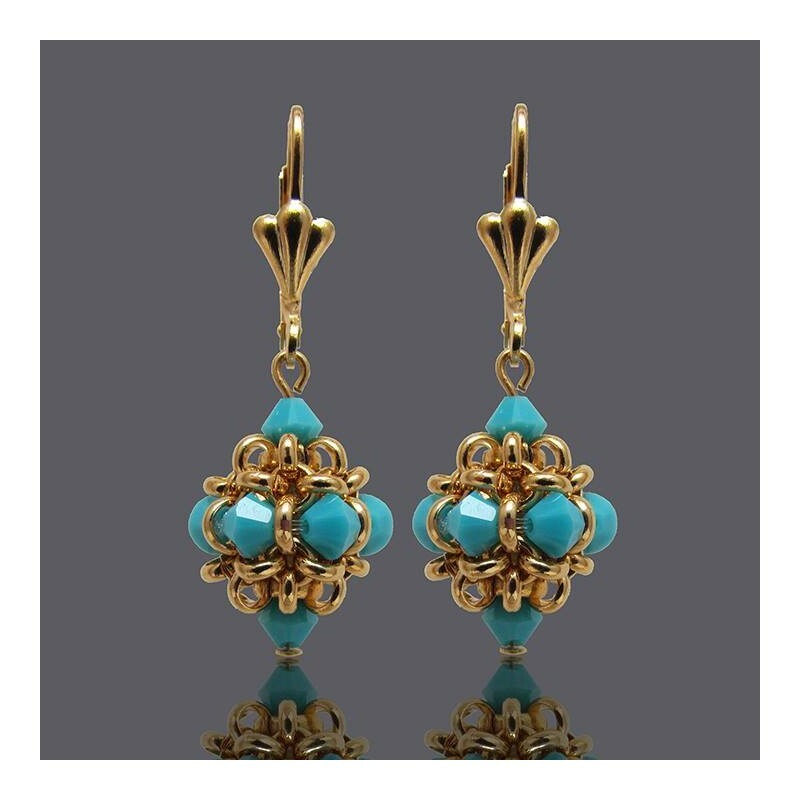 Vintage Turquoise earrings suitable for mother of the bride or special occasion.